Below you will find our list of the best Macalister Road Hotels (Jalan Macalister) in George Town, Penang Island Malaysia. This area of the city is popular for those who like to be close to KOMTAR and all its shops, as well as having some great restaurants and hawker food nearby. 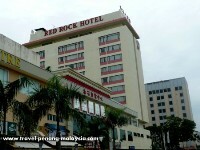 A popular 3 star accommodation, the Red Rock Hotel is in the busy area of Macalister Road that is close to KOMTAR and all it's shopping malls. Around the hotel you will find plenty of places to eat with many restaurants and hawker centres a short walk away. 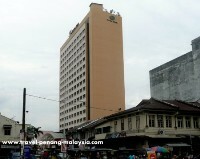 Just across the road from the Red Rock, is another 3 star hotel the newly renamed and refurbished, Glow Penang. This 4 star property is located just a few metres off of Macalister Road with loads of places to eat nearby and KOMTAR just 5-10 minutes walk away. 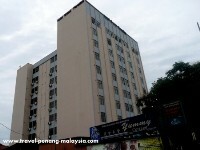 A 3 star accommodation with a good location between Burma Raod and Macalister Road on Lorong Kinta. 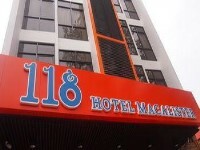 Located right next door to the Hotel Sentral is this new modern budget accommodation. This relatively new 3 star hotel in Macalister Road opened towards the end of 2015 and offers good value rooms in a good location towards the KOMTAR end of the road. The next set of accommodation on Macalister Road is quite far by foot to the centre of town and not really recommended for tourists unless you have your own transport. 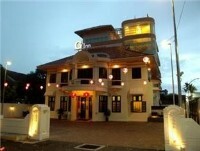 But, if you are looking for a hotel near the Loh Guan Lye Hospital, they are a perfect choice. A luxury 5 star hotel in a former colonial mansion. A good value budget style accommodation. A 2 star property located along the main road. If your looking for something bigger than your average hotel room, then these spacious apartments come with a fully fitted kitchen and there is also a swimming pool at the property. 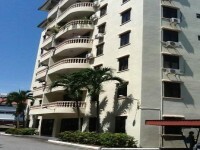 Large 3 bedroom apartments located just off of Macalister Road, on Logan Road but still close to the Loh Guan Lye Hospital. 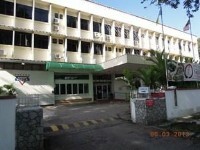 If you are looking for a hotel near the Island Hospital in Penang, the YMCA is just across the road, a minutes walk away. Otherwise, it's a bit out of the way for tourists.